America, ca 1935-1936. 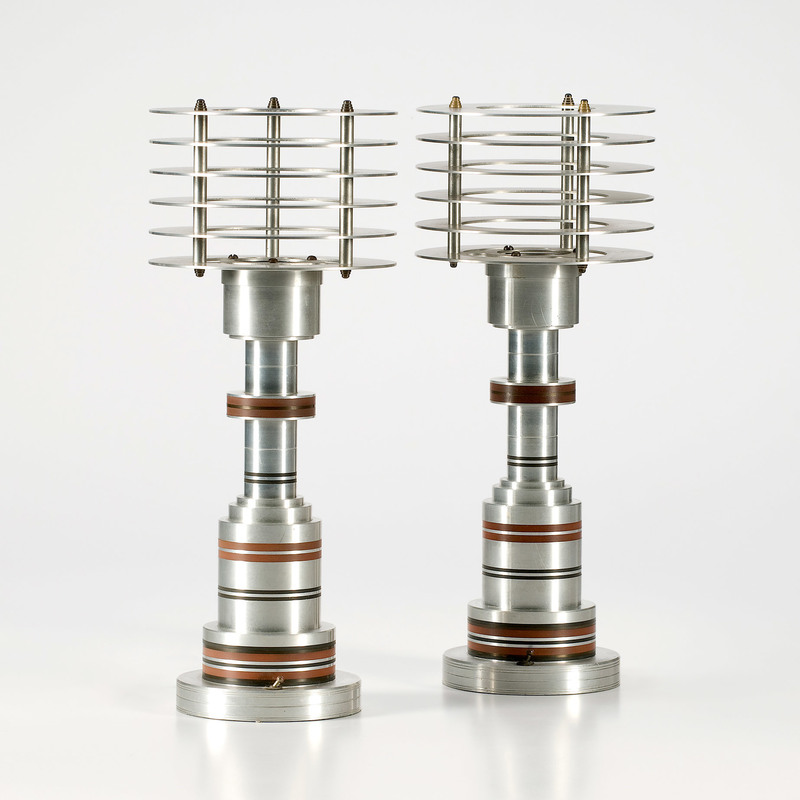 A pair of tiered aluminum space age lamps with inset bands of brass and bakelite, center inset socket surrounded by six horizontal spaced discs, designed by Walter von Nessen and manufactured by Pattyn Products, Detroit, MI; ht. 19.25 in. Condition:Minor surface scratches. Missing cylindrical frosted glass shades that fit in the interior of the horizontal dics.